Welcome to the Bose complaints department brought to you by HissingKitty. Experienced poor customer service? 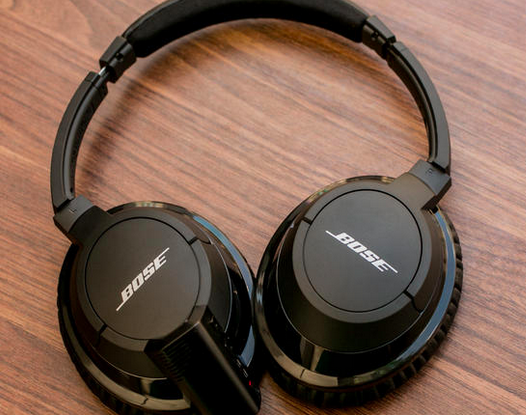 We make it easy to file a formal complaint against Bose online. Simply use our free form and your feedback will be instantly forwarded for review. Need to contact the Bose corporate office? We have the mailing address, phone number, and email address listed below. Please view website revolutionstudios.co.uk. I am Andy Macpherson. I engineer, produce and mix for clients such as The Who, Deborah Harry, Pete Townshend, Eric Clapton and others. I purchased two sets of Bose noise cancelling headphones. One for studio A, one for studio B. The headsets were stored in different locations, along with many Beyer Dt's, Sony, Sennheiser sets. They were stored in their cases. To my dismay, on opening BOTH cases for new sessions, I found that both casings had corroded and gone "sticky";both entirely. The casings on the Beyers, Sony's etc, were still perfectly sound, and these sets were much older anyway. So, two sets, in different locations, corroding at the same time. My guess is that you know about this problem. Please let me know how we may rectify this manufacturing glitch. Please don't derail me to the UK Bose people. The last query I raised with them about purchasing some speakers for mixing never even got a reply. I look forward to a sensible response. Many thanks, Andy Mac. ...Ps, your docking devices make for great studio mixes. I mixed the last Who "Live at Leeds" using them in the chain. I have been a Bose fan since the mid 70's and still own a pair of 901's. I have today nothing but bose items in my house and office and have spent a small fortune on more than 10 bose items over the past five years. Now here is my problem. Your customer service is absolutely horrendous. I have never until last week had to order form you. I placed an order for replacement cushions for my headphones and called twice and was told I'd receive them in 6 business days on day nine I was told that you just got the item in and it would be shipped. Not only am I angry for the lack of knowledge of your reps I am amazed that all three times I called I had to wait over 40 mins each time. It is a shame that a company that makes such fine products would tolerate such poor untrained reps.
Bose may not be an example of a good old company that provides both good products and repair parts if they are ever needed (by private repair people). I need a ribbon cable which connects the main board to the control panel on a awr1-1w part #177256 and when I try to purchase it from your company, I am told to send it to your repair facility. I guess I will junk it eventually and tell my friends when their radios fail to either junk them or pay $$ to get it fixed. BTW I would be glad to buy the part if I only knew where. If you can provide this information to me I would feel a lot better about Bose. I bought the Bose Solo 15/10 system and was told that I could program a non-bose remote. However you did not tell me what the setup code is. I checked your website and found no way to get this information without paying you more money. It is not reasonable to ask me to pay for information that should be part of your standard setup package. Where is the customer service? Love my noise cancelling headphones. The only complaint is the price is a little bit crazy. I went to purchase another pair for a Christmas present and it was easily 2-3x what any other headphone was priced. I know they are high quality, but you do not exactly need great customer service when all you are buying are a piece of headphones to listen to music. In the end, the corporate office at Bose has made a decision to price most people out of the market. I got a wonderful Sound Touch Stereo system from Bose. Bose is worldwide provider of consumer electronics products including sound systems, home audio and many more. Bose is special in it's own way with online shopping, free shipping, special offers and risk free trial services. It also provides music systems, TV speaker systems, home theatre systems, bluetooth sound systems, head phones, sound Dock for i-Pods and also powerful sound for business. You can place your order anywhere around the globe at any time. Enjoy the best sound systems only with Bose right away.